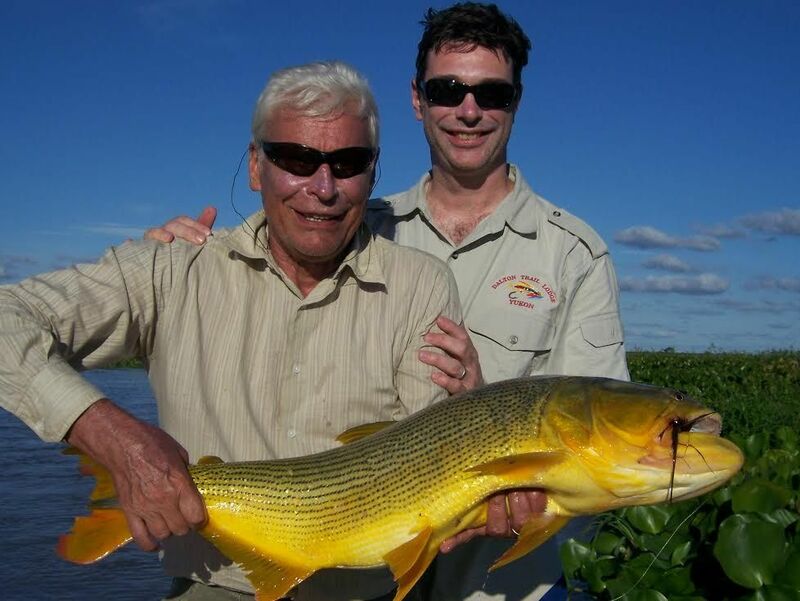 Situated in the heart of the Isoro´ Estuaries, is home of the best waters to find South America's only true endemic salmon, the dorado or Golden salmon. 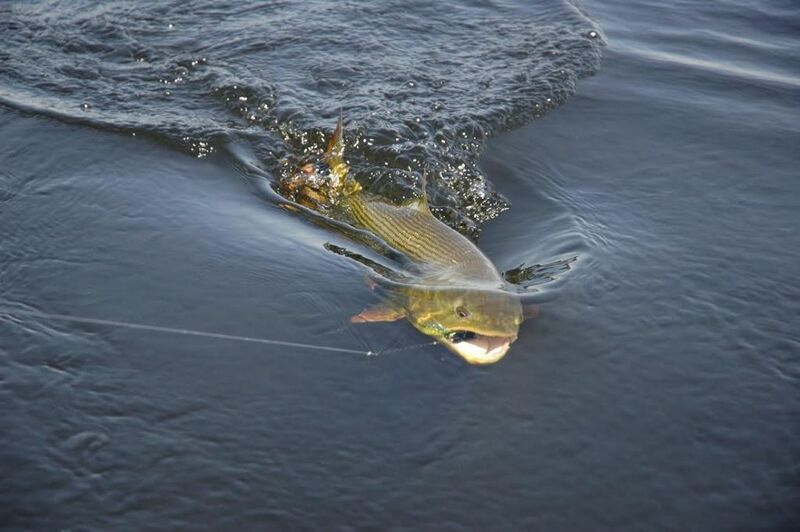 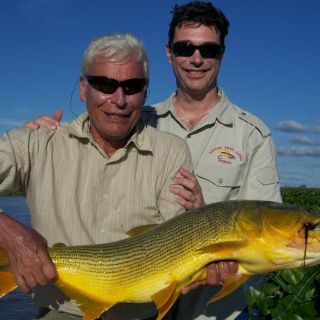 When you experience dorado fishing at its natural best you don't just fish for them, you live for them. 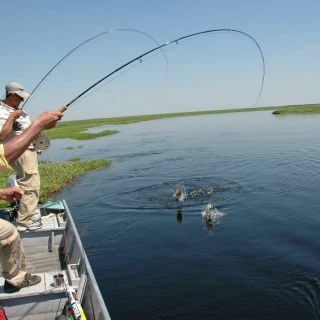 Immerse yourself in the culture, tradition and sport that absorbs you when you stay and fish in this mystic land. 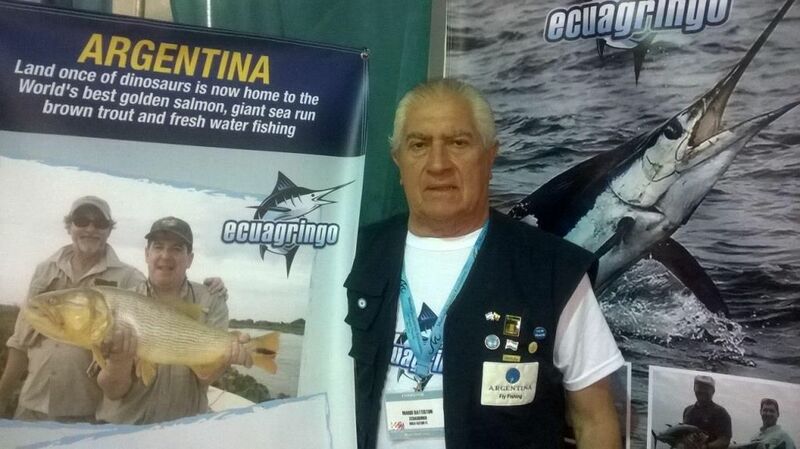 ... After two years of military service in Marina he joined the Argentine Merchant Navy as Assistant of Mechanic, from 1967 on. 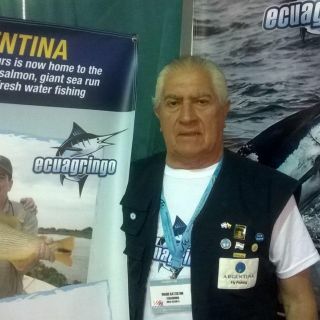 Also in a foreign Merchant Navy as 3rd Technical Officer from 1969 until 1971, sailing principally on the southern seas choosing the crossing of the Strait of Magellan that is the pass between the Atlantic Ocean and the Pacific Oce View more...an. 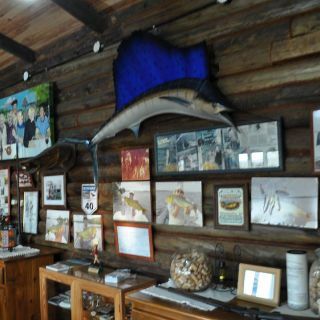 He therefore covered the route chosen by Charles Darwin to look for the Nomads of the sea ' the Alacalufes '. 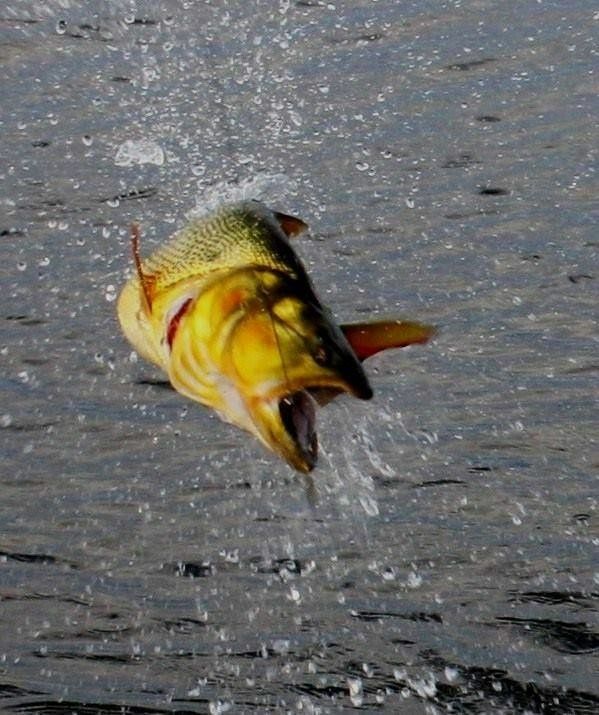 Whether you want to fly fish, spin or cast for them, you will usually find a hungry, aggressive and colorful gladiator waiting to test your skills. 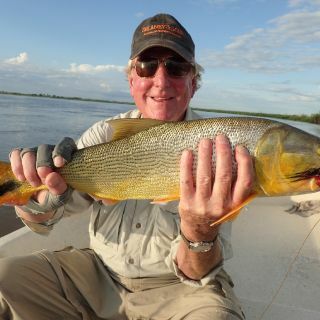 Dorado Cua Lodge puts you where the action is with world class amenities, steaks and wines worth of Michelin recognition, the most experienced guides and exquisite accommodations. 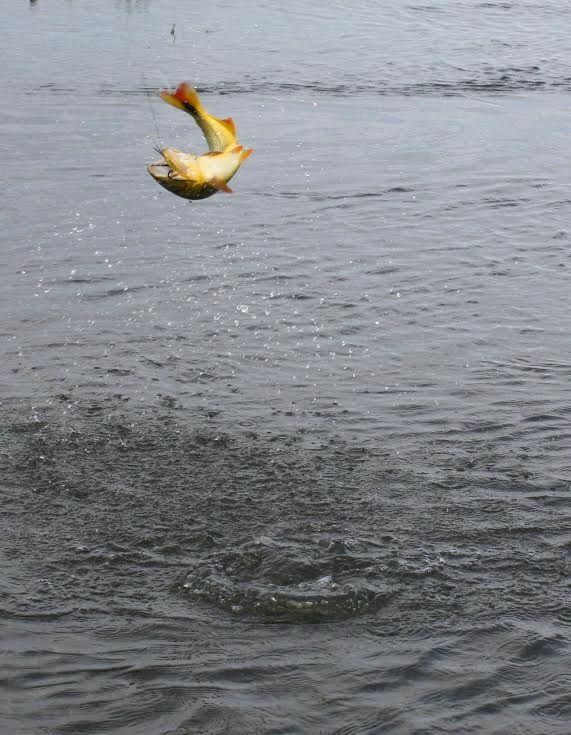 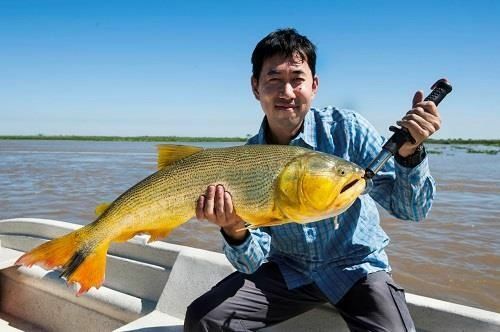 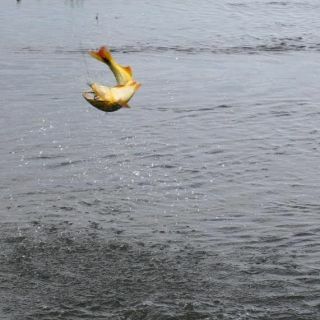 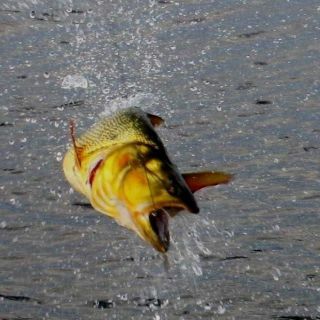 The numbers of dorado caught on average are astonishing with anglers usually experiencing dozens of bites daily. 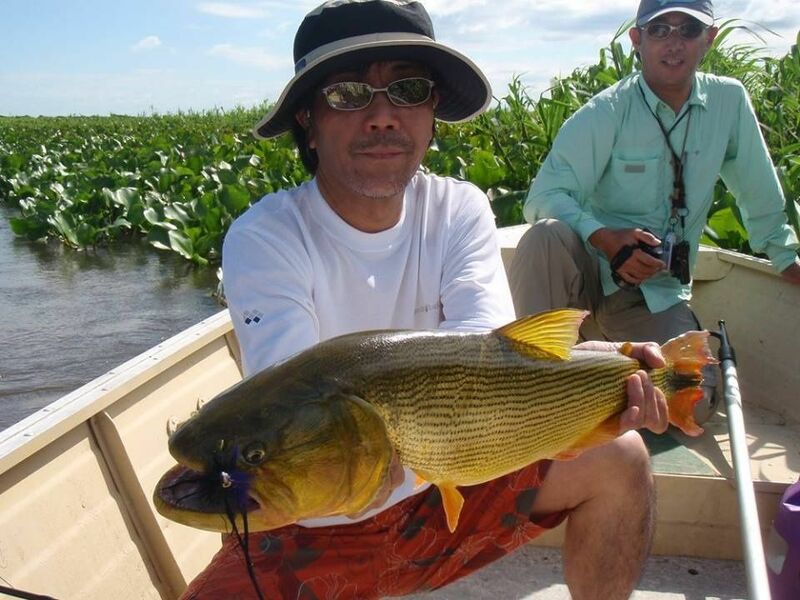 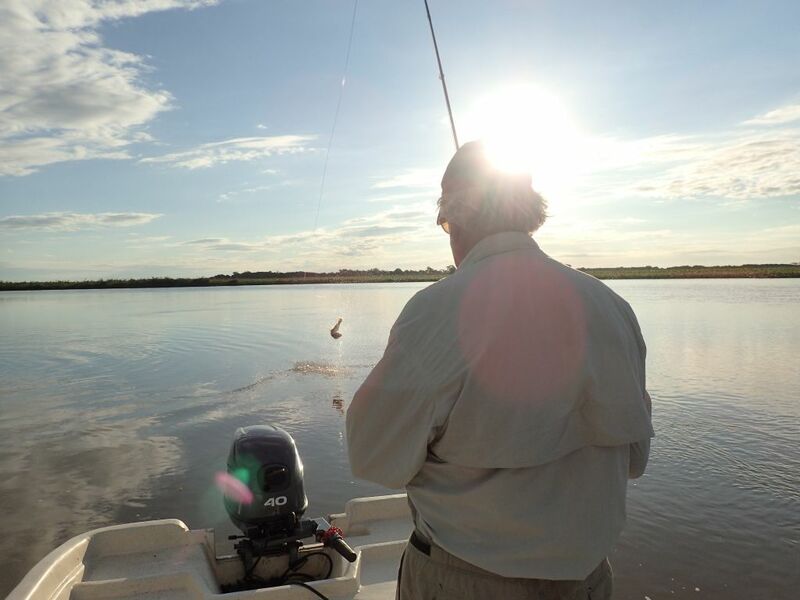 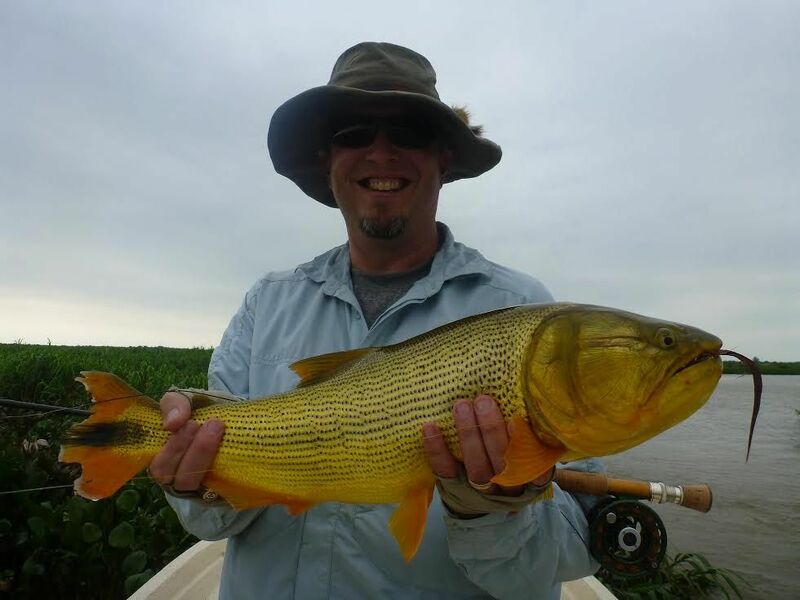 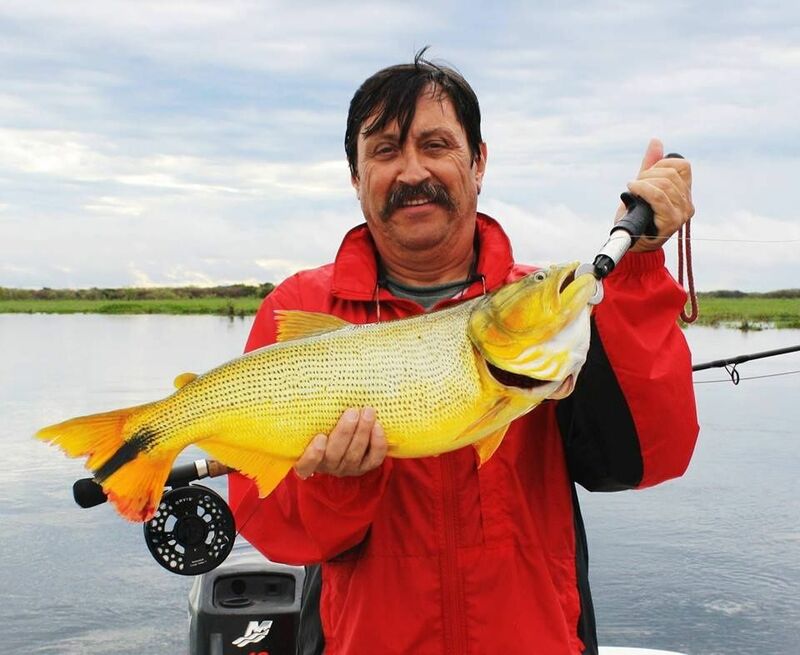 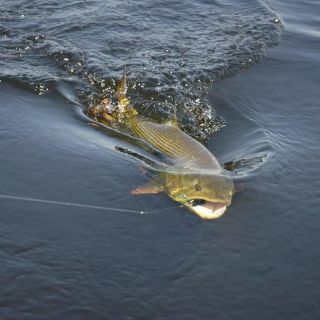 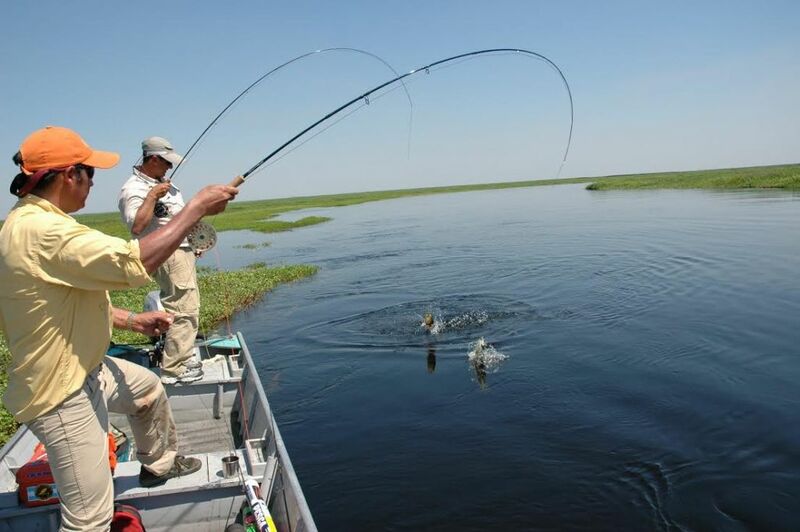 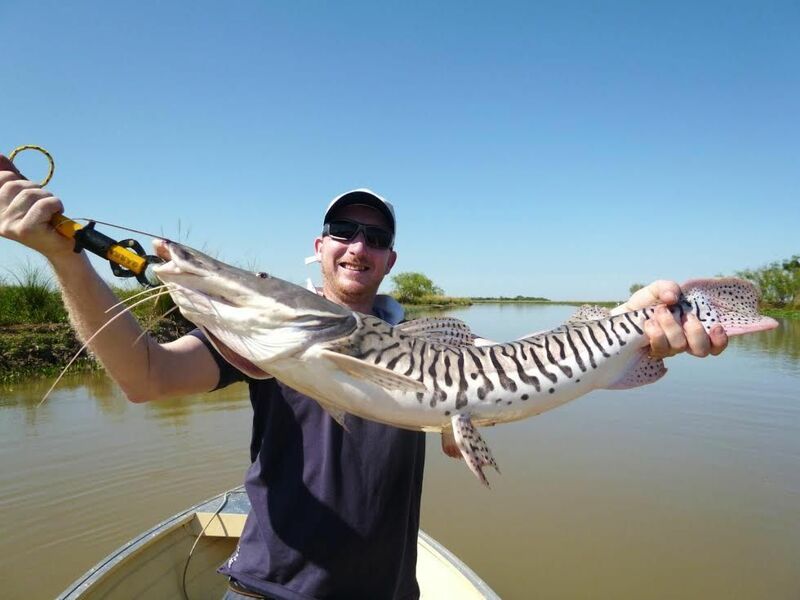 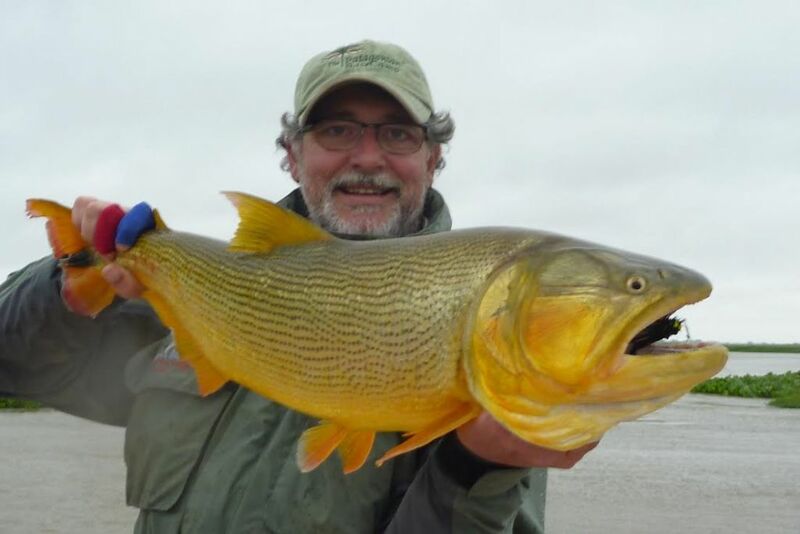 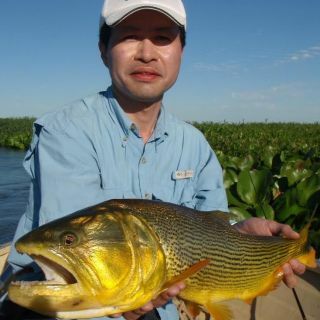 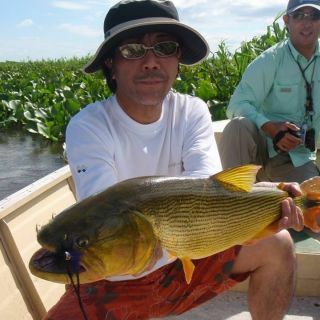 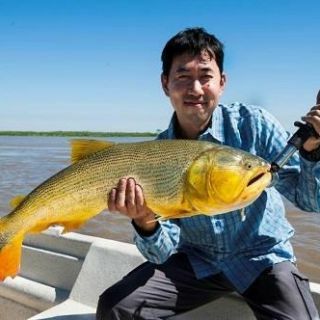 Caymans, waterfowl, emu, capybara, swamp deer and many other creatures grace the marshes, islands and scenery that is breathtaking and plenty of dorado waiting in the waters. 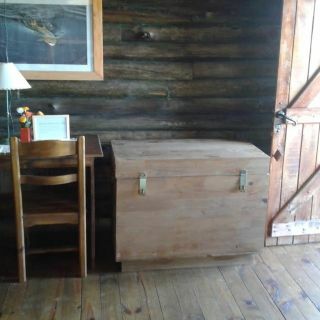 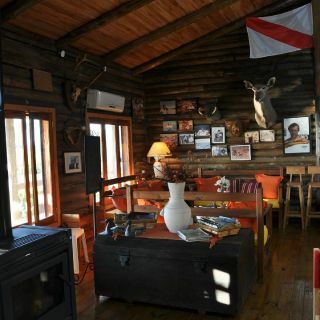 Safe, relaxing and unique are just some of the many words to describe the lodge. 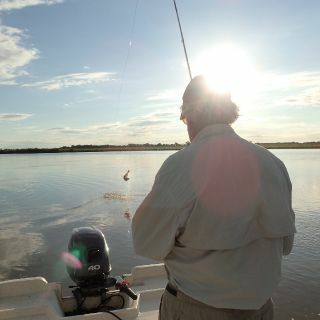 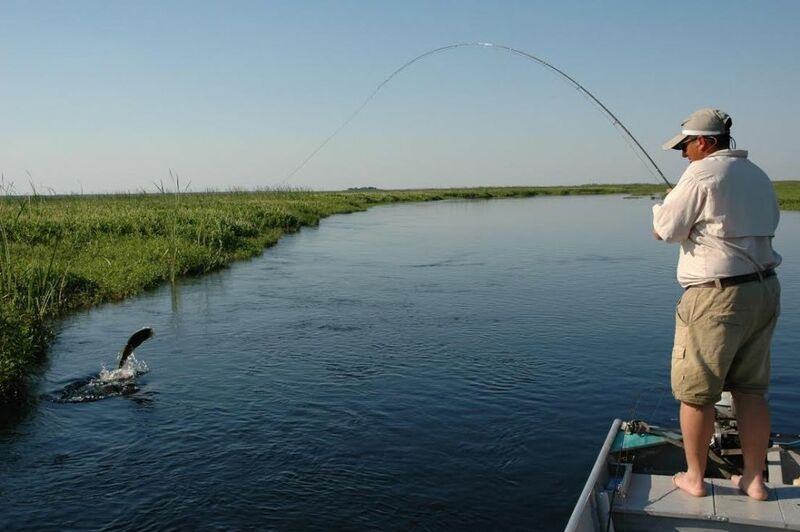 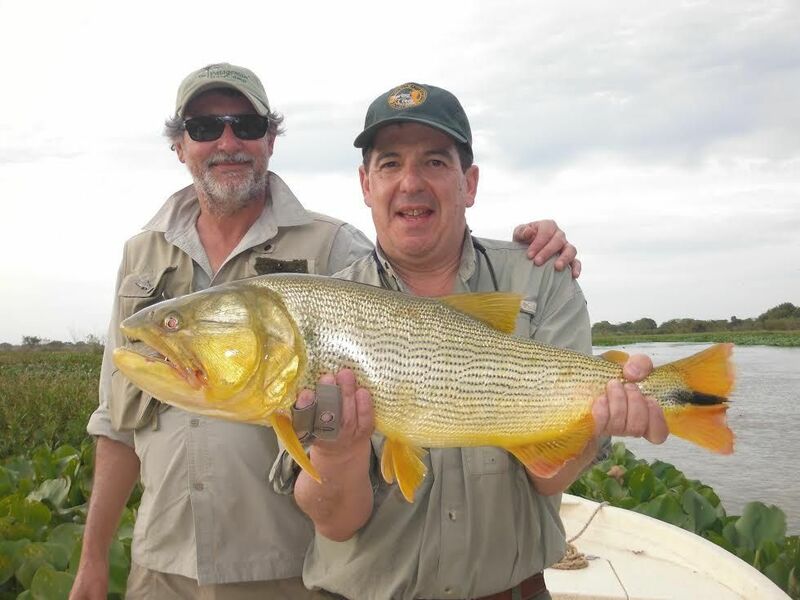 Guides, boats, tackle, meals and everything you need is provided by our expert staff. 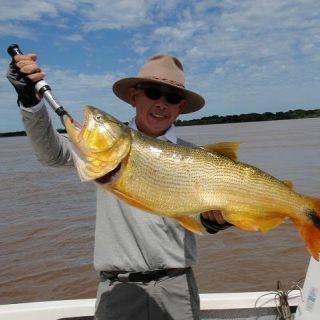 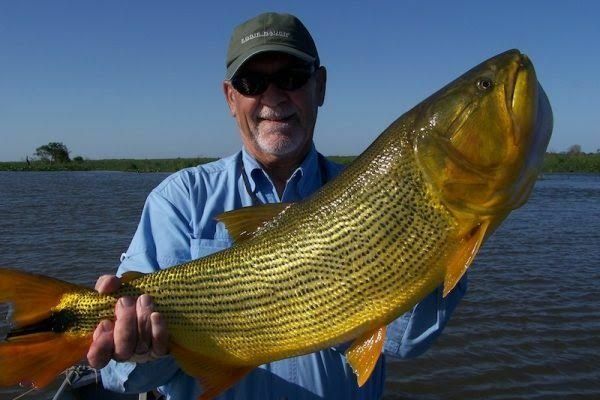 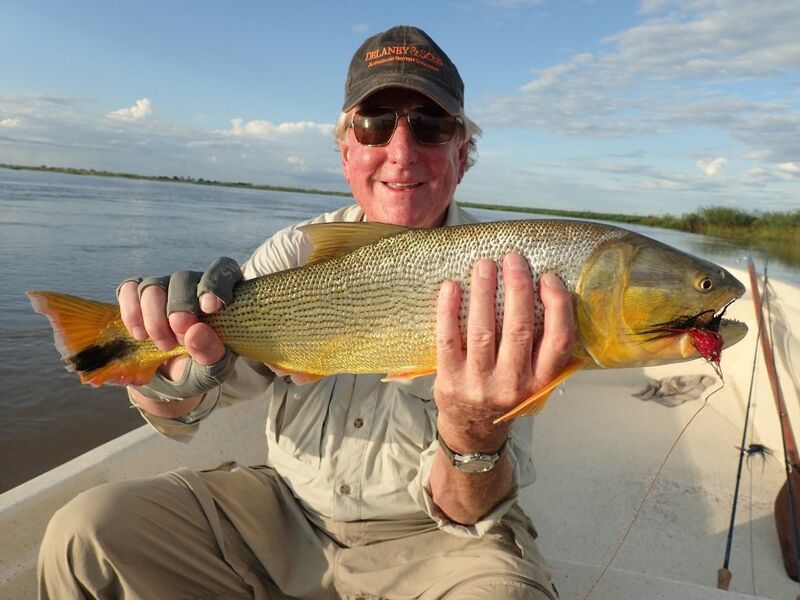 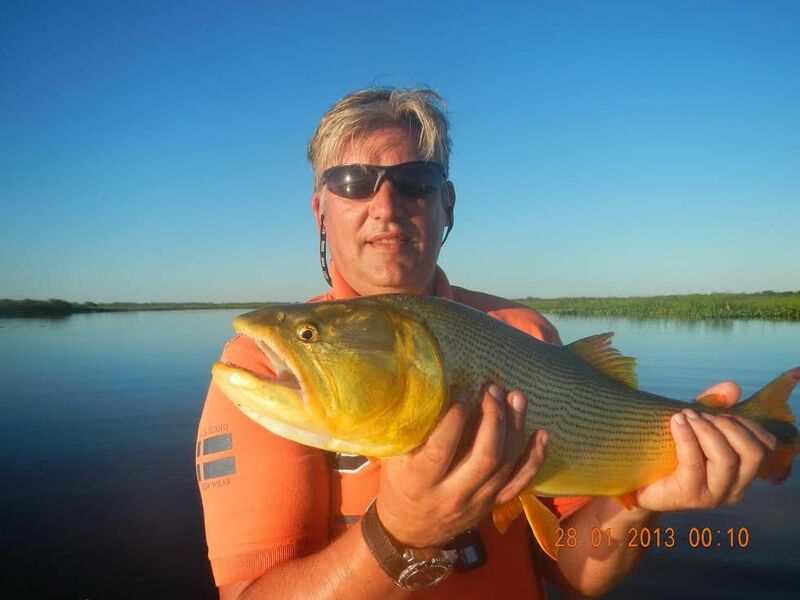 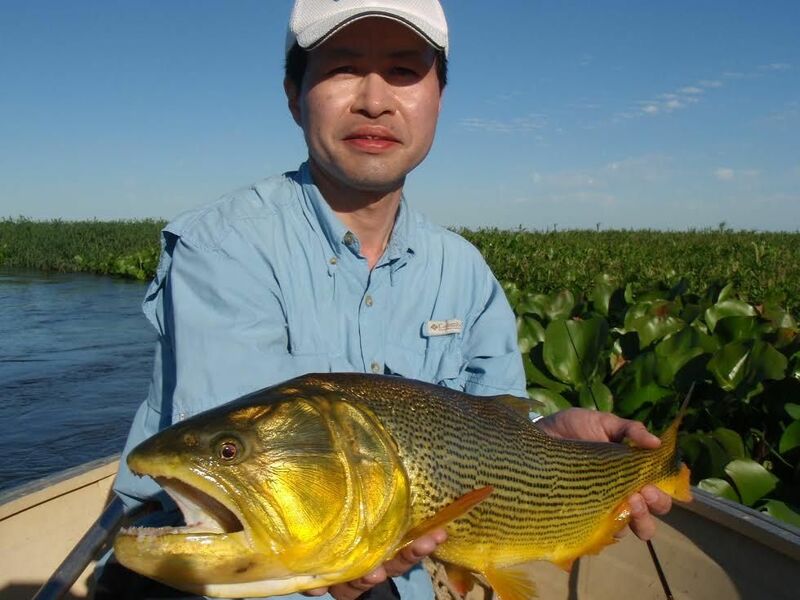 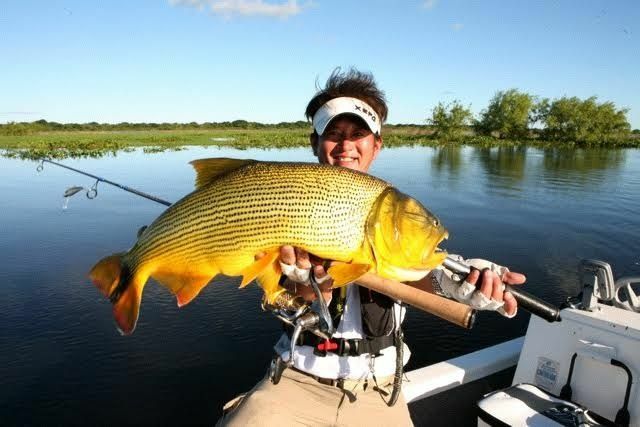 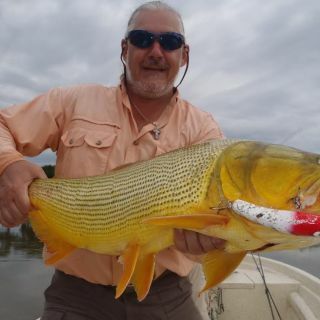 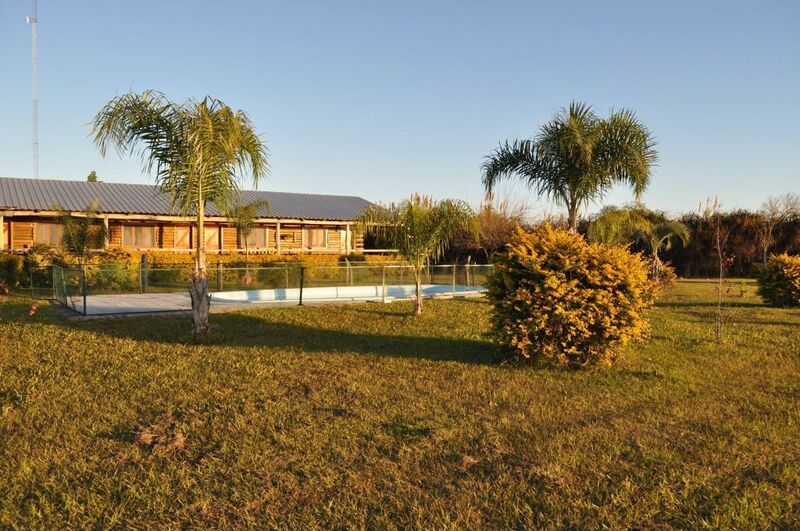 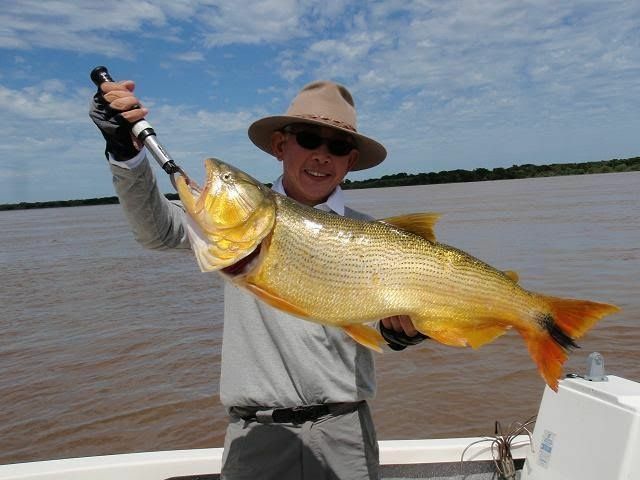 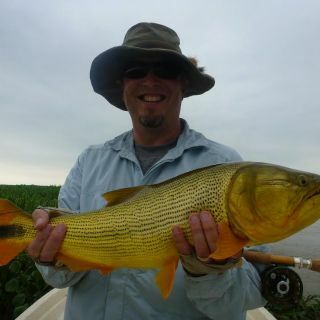 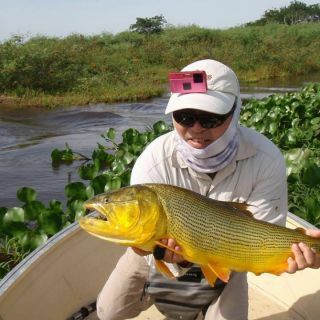 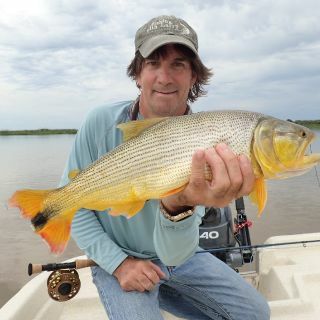 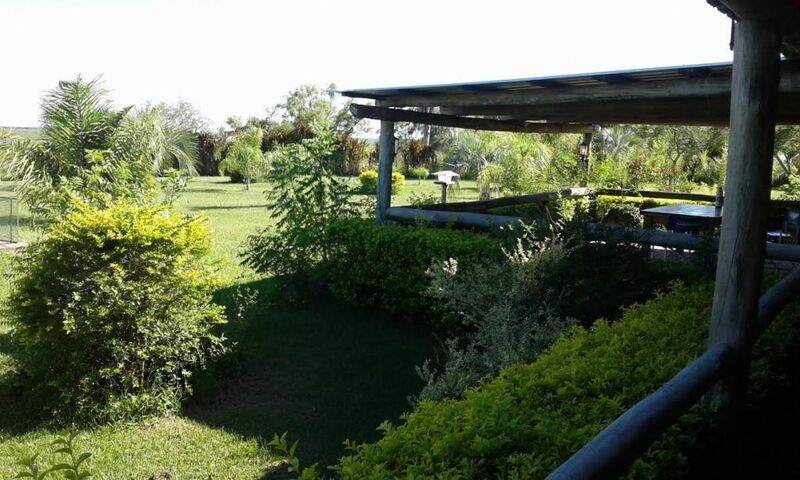 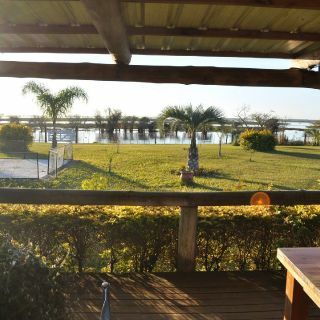 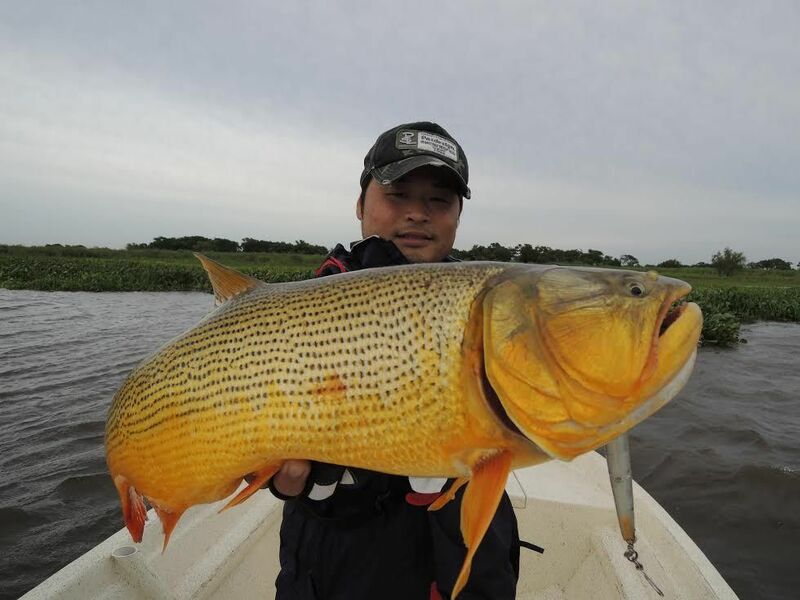 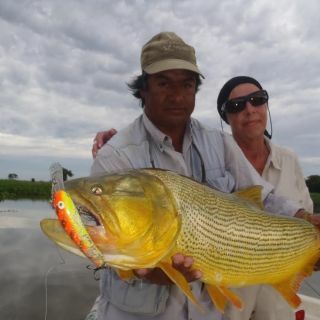 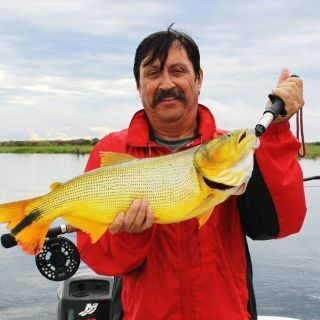 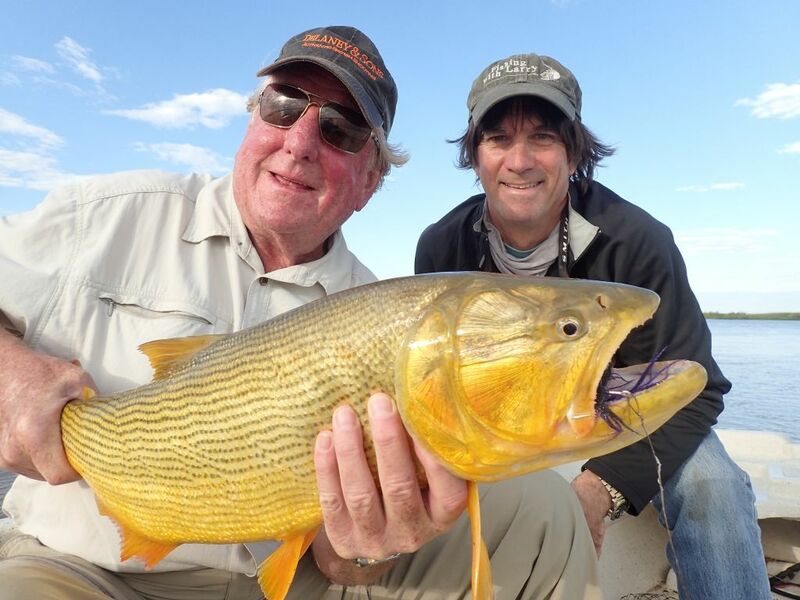 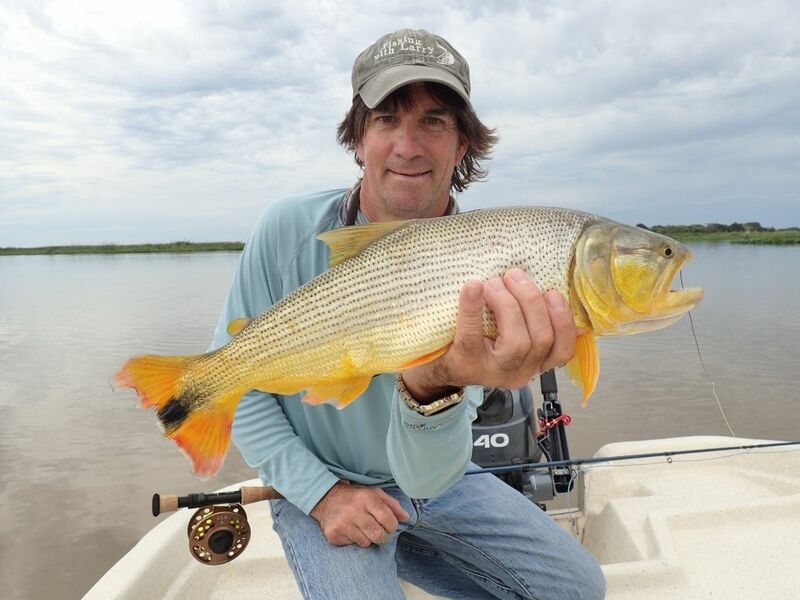 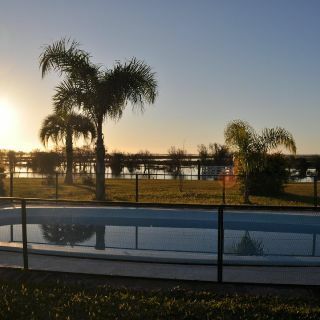 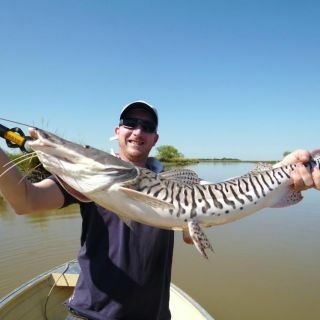 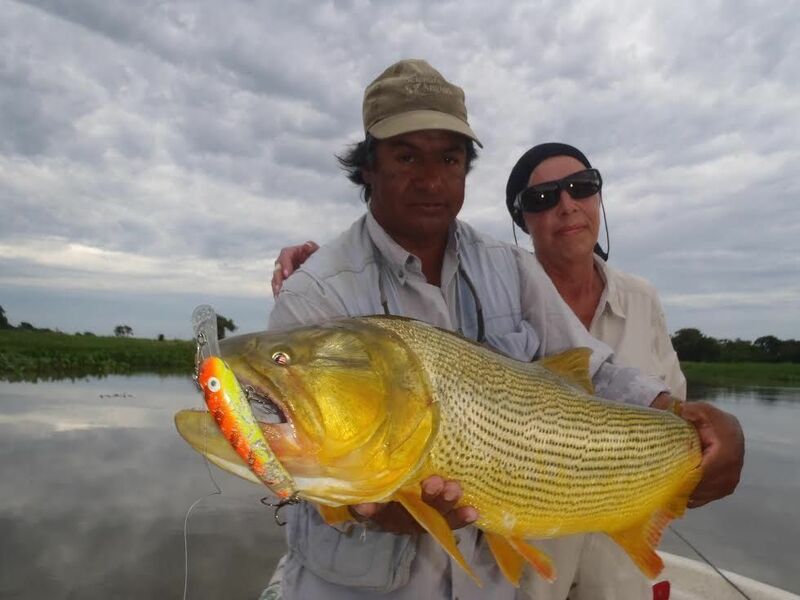 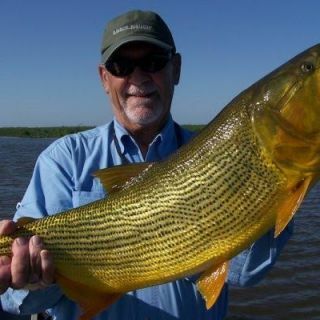 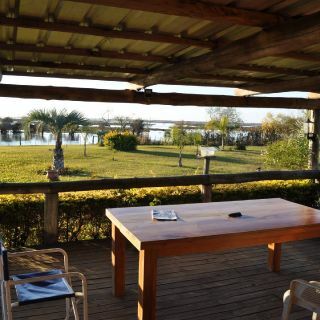 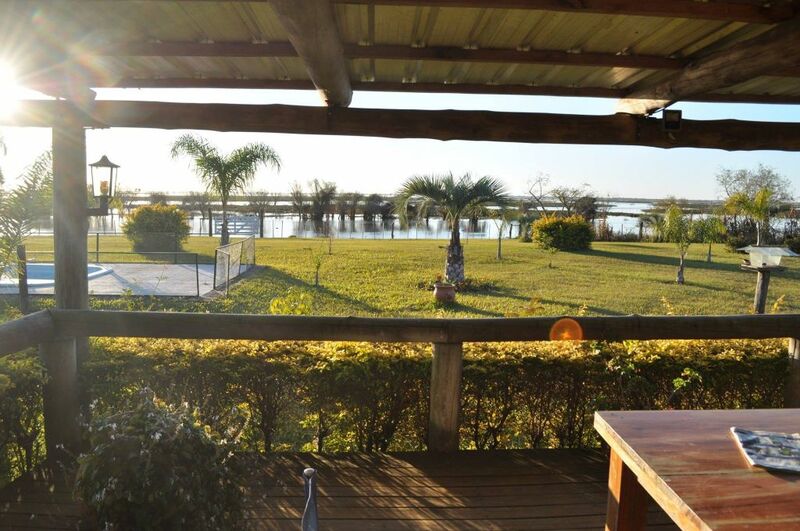 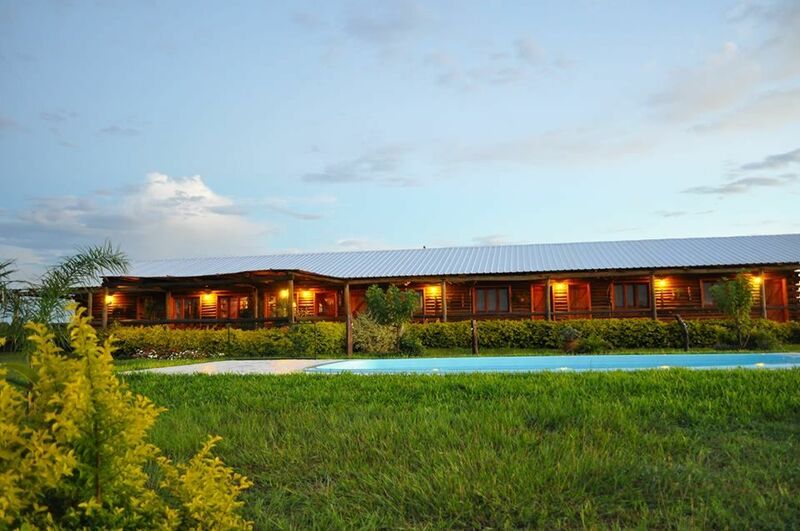 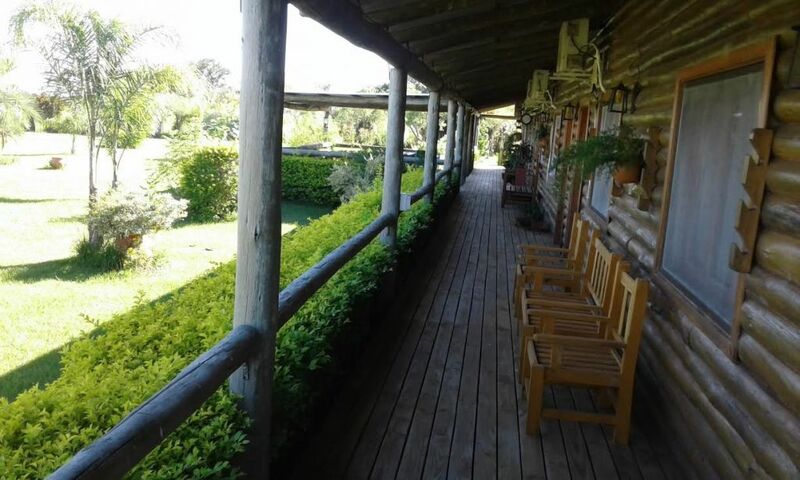 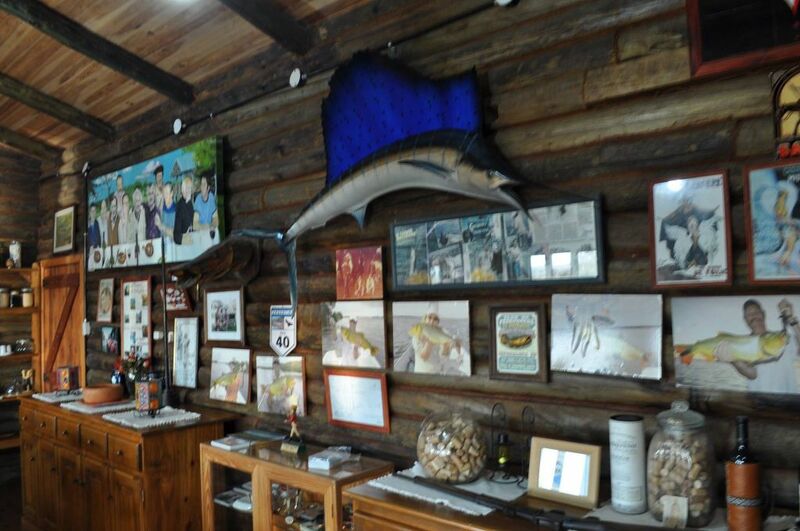 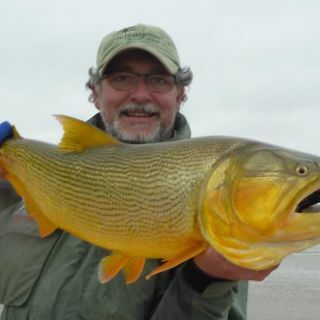 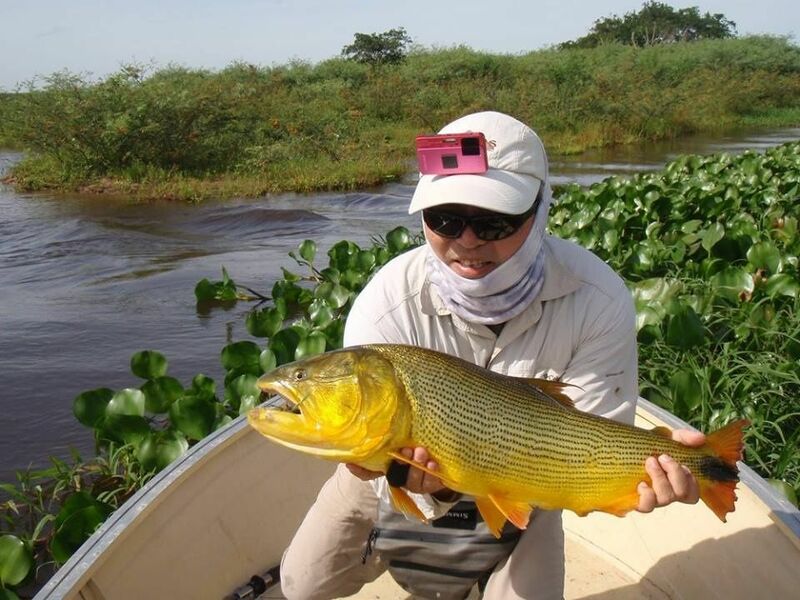 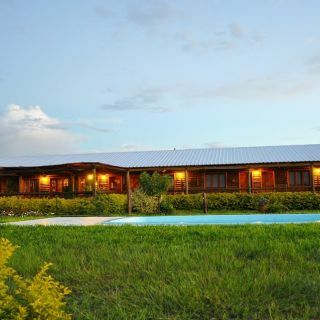 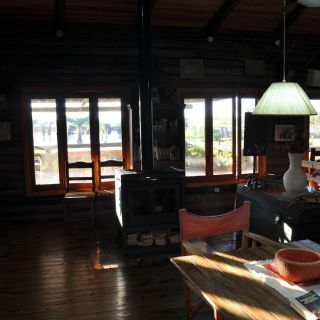 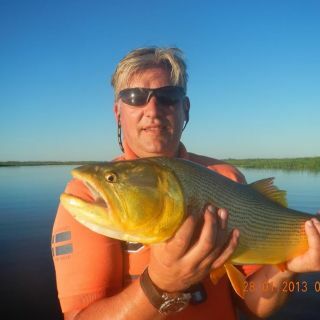 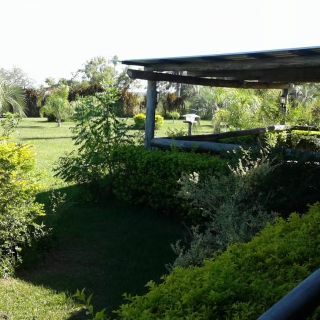 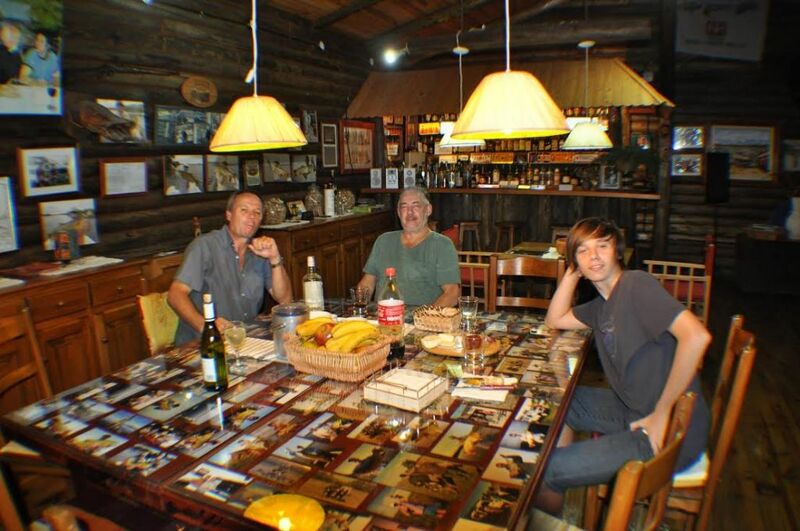 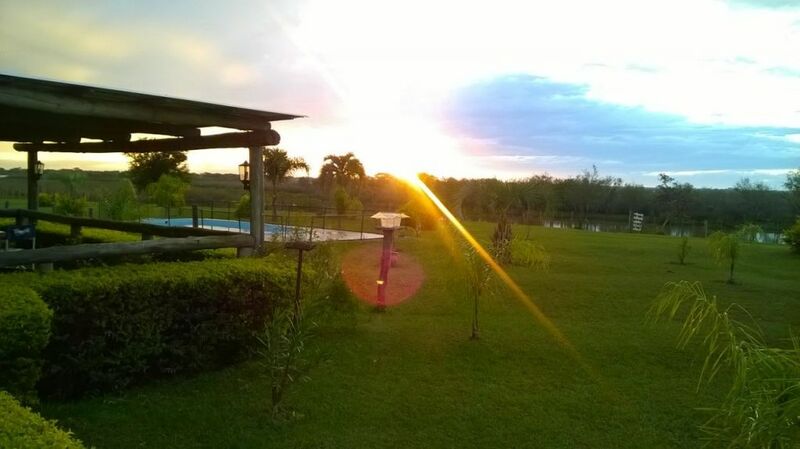 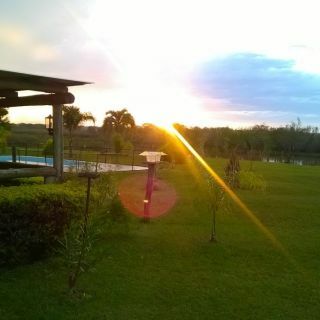 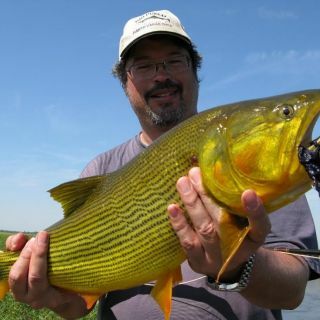 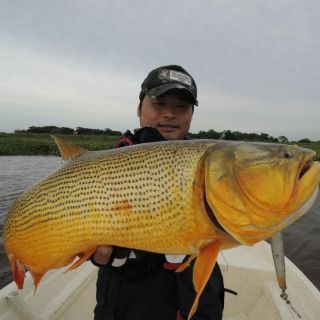 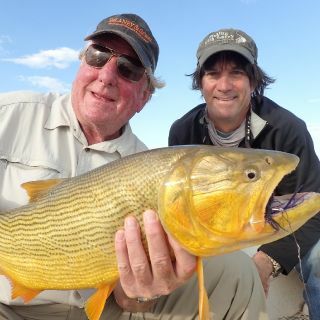 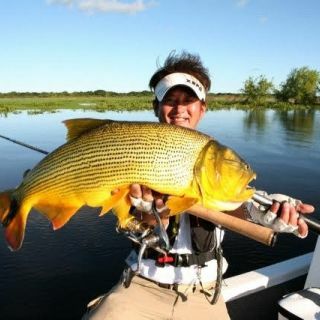 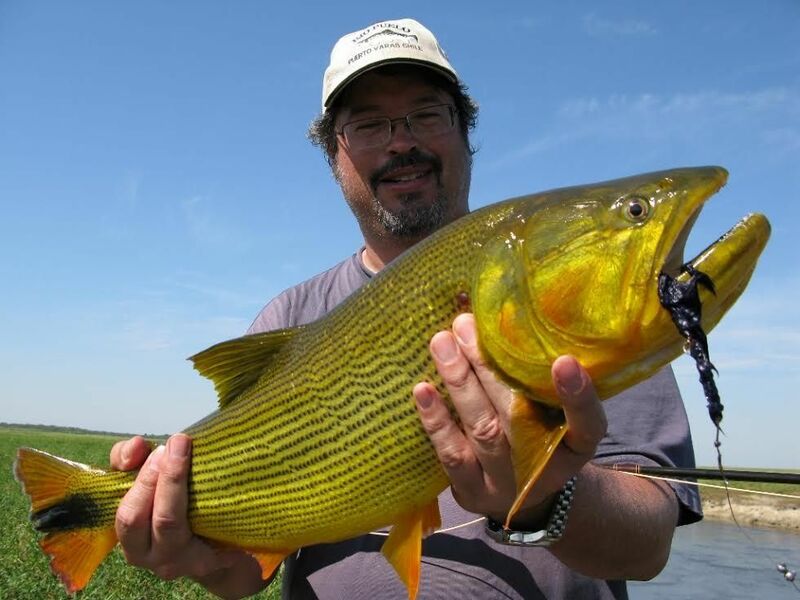 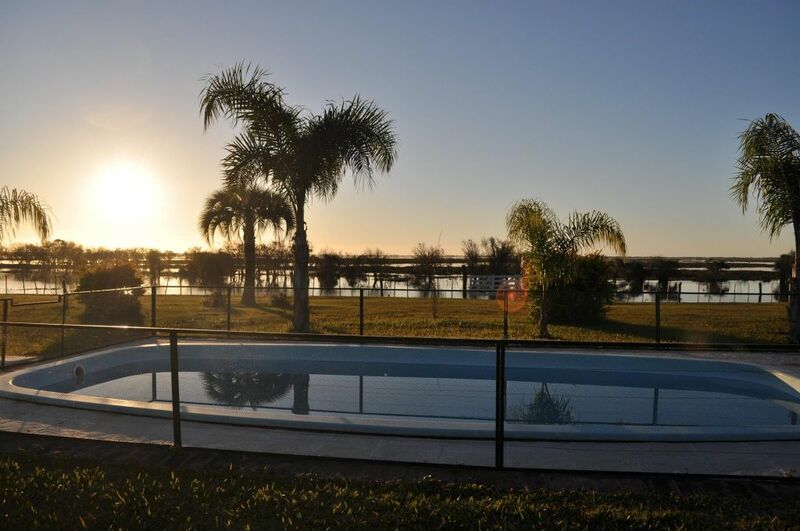 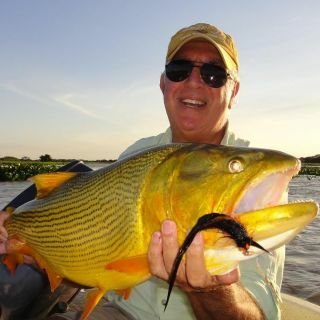 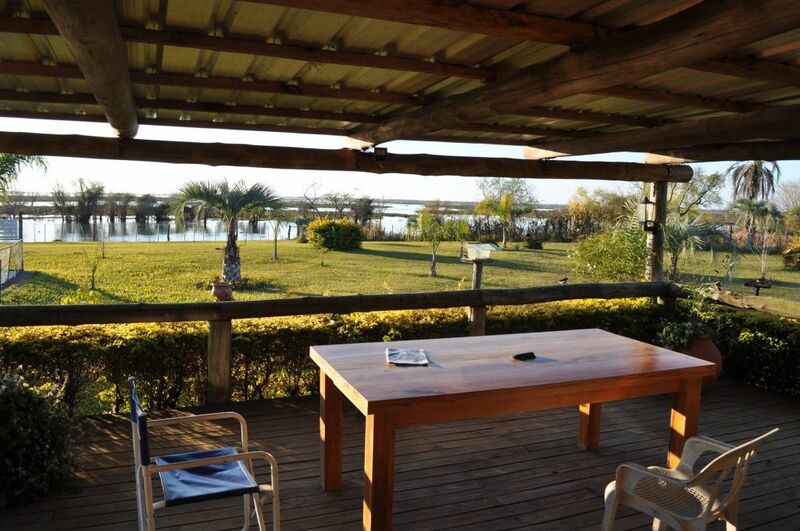 Come and be pamp View more...ered by Argentina's finest fishing lodge. 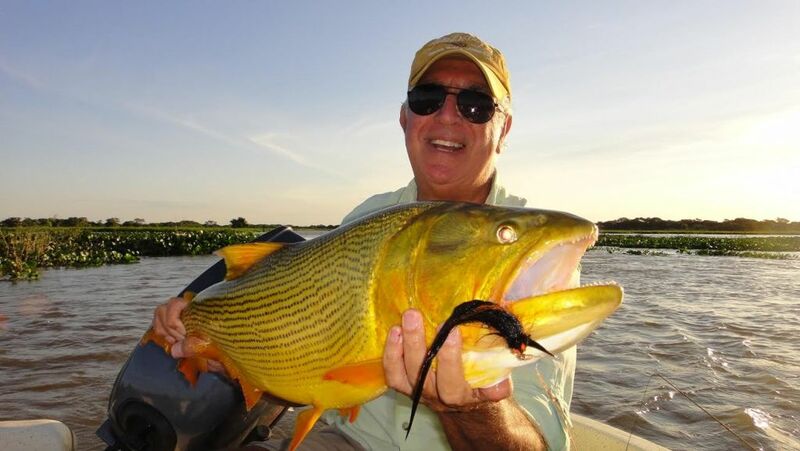 Caymans, waterfowl, emu, capybara, swamp deer and many other creatures grace the marshes, islands and scenery that is breathtaking and plenty of dorado waiting in the waters. 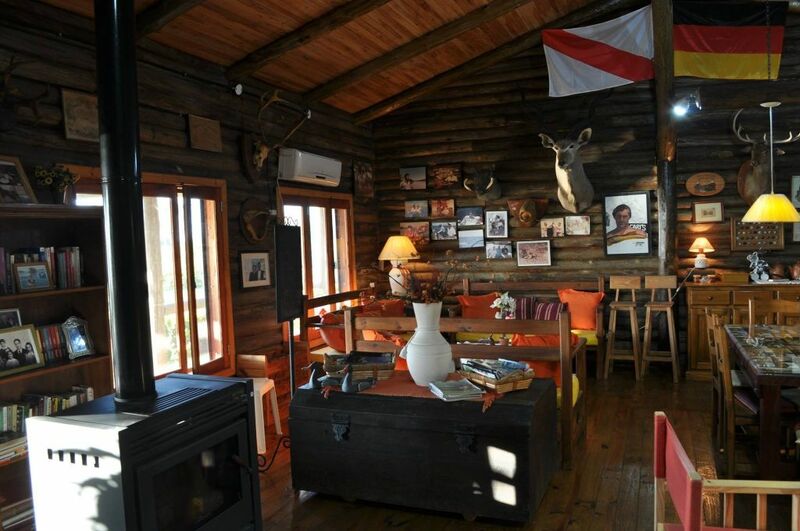 Safe, relaxing and unique are just some of the many words to describe the lodge. 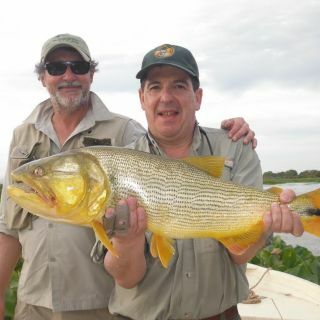 Guides, boats, tackle, meals and everything you need is provided by our expert staff. 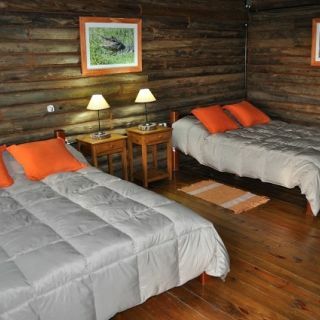 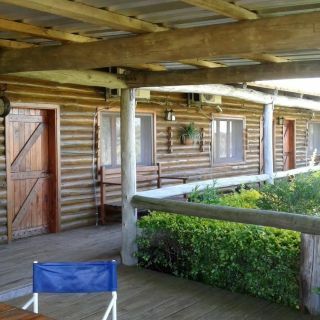 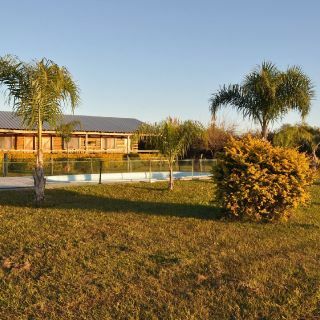 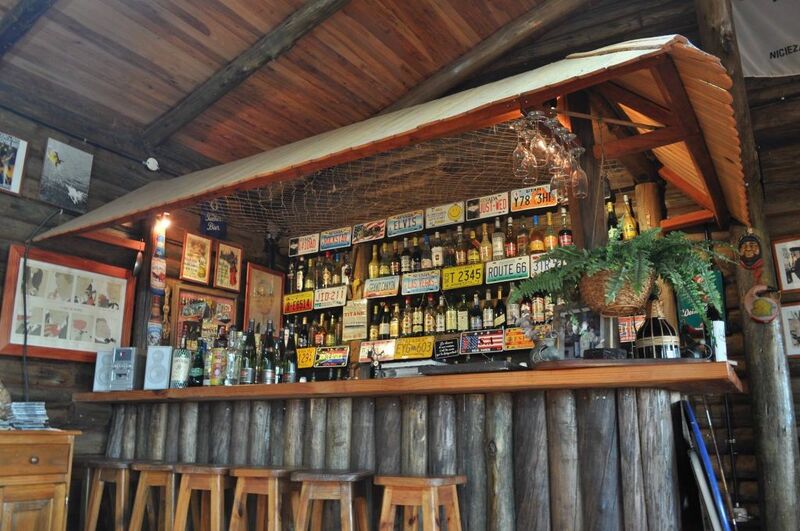 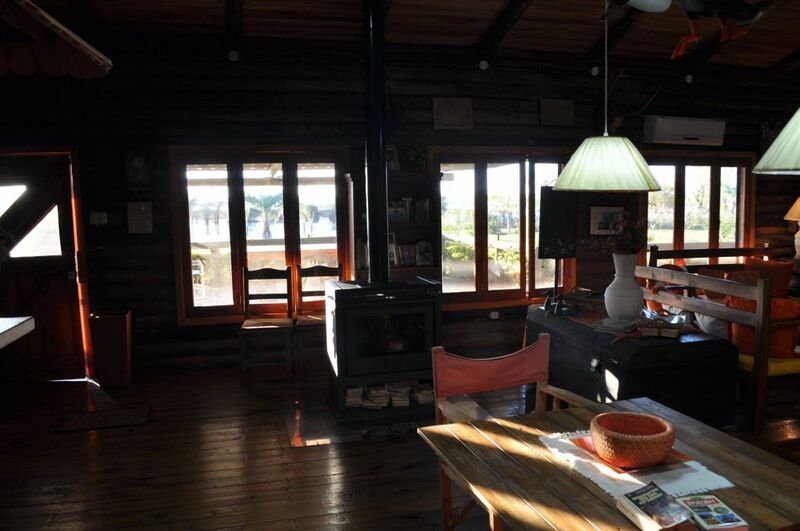 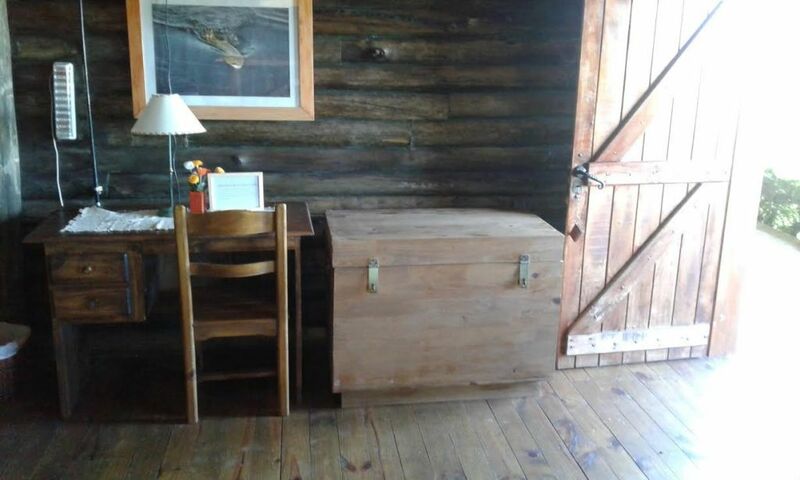 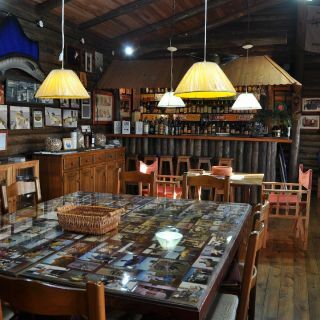 Come and be pampered by Argentina's finest fishing lodge. 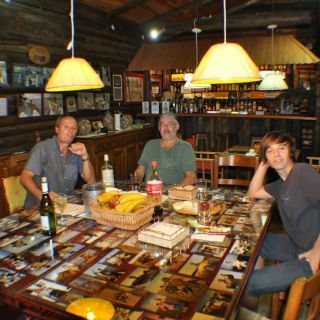 Nuestro personal los encuentra y los recibe a los visitantes en el Hall del Aeropuerto Intern. 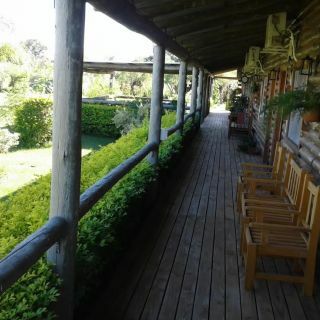 Ezeiza de Buenos Aires a la llegada del avion, transportandolo al Hotel, o Estacion de Omnibus o Aeropuerto Domestico para luego viajar a nuestro Lodge, igual al regreso al final de la pesca. 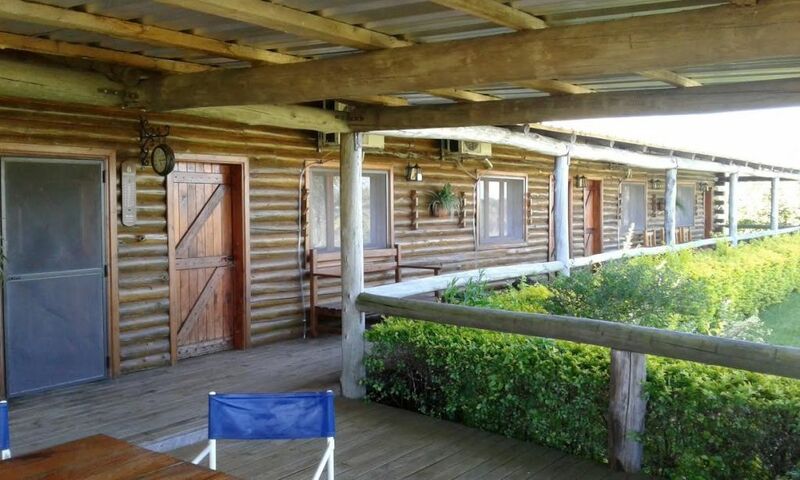 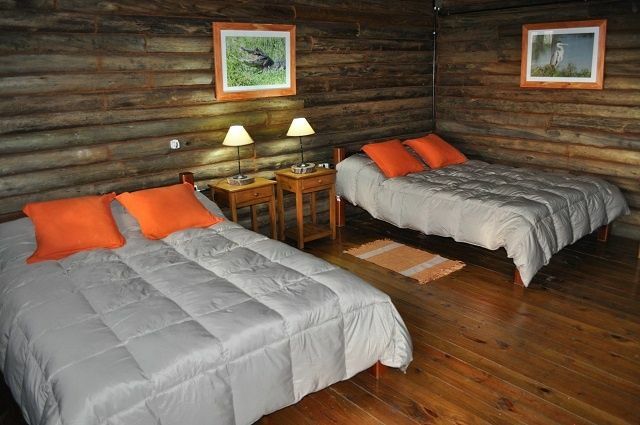 Nuestro Lodge tiene grandes habitaciones con doble camas, banio muy comodo y aire condicionado, disponemos de un servicio permanente de atencion personalisado. 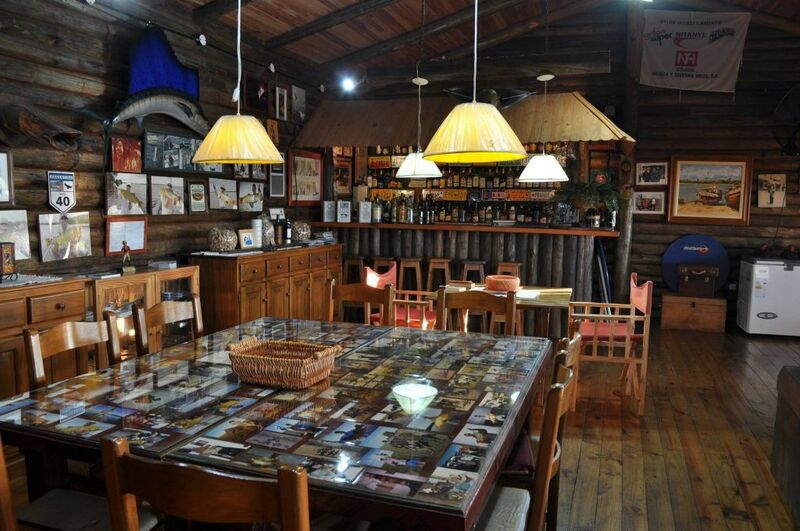 El chef prepara deliciosas comidas y postres, acompaniados por excelentes vinos Argentinos, mas un desayuno Americano. 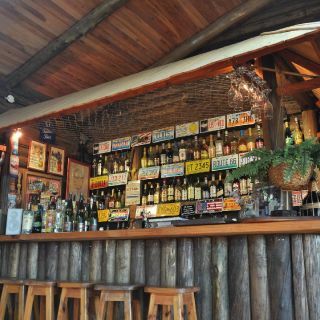 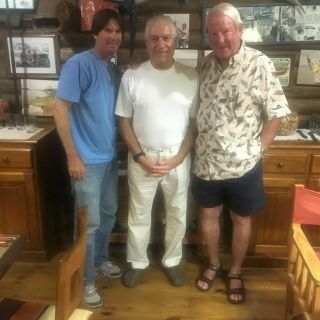 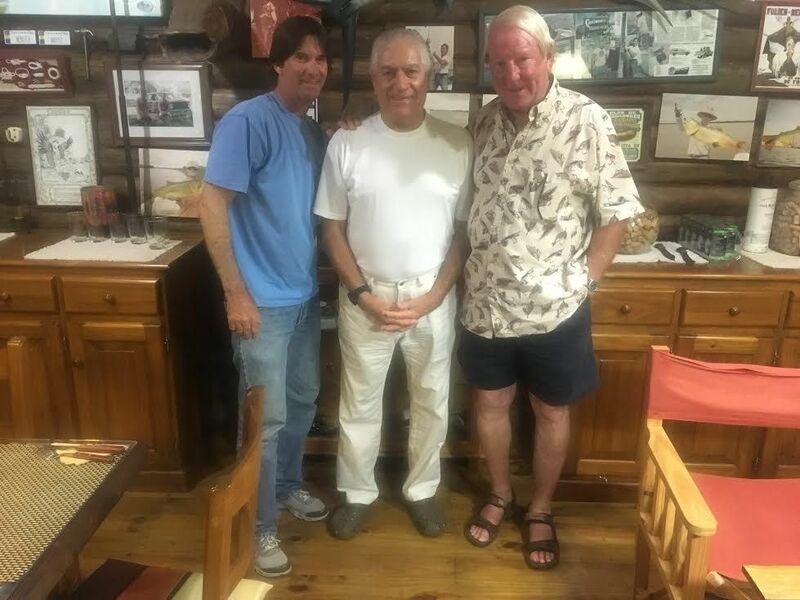 Si el cliente prefiere le podemos ofrecer un almuerzo Pic-nick en las islas. 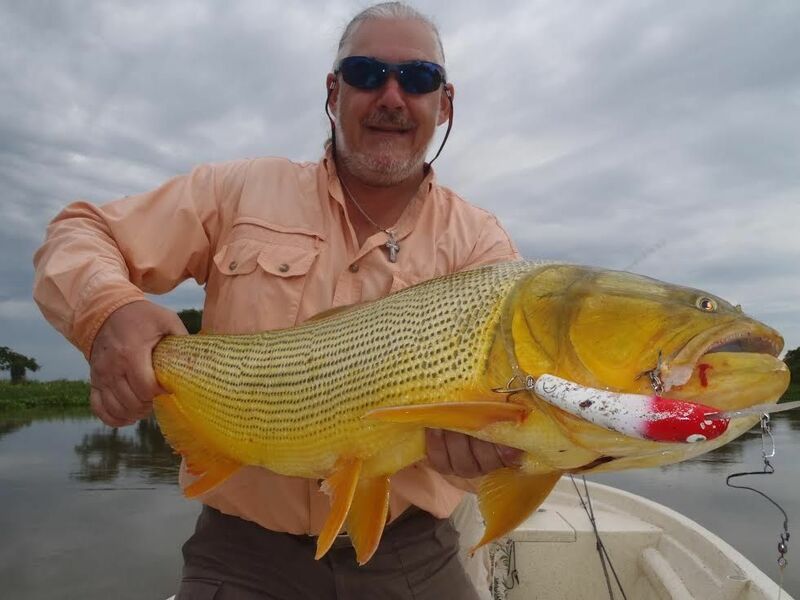 Cuando la pesca termina, nuestros huespedes son transladados al Aeropuerto Domestico o Estacion de Omnibus, luego ellos en Buenos Aires a su arribo son recib View more...idos por nuestro personal para ser transladados al Hotel o al Aeropuerto Internacional. 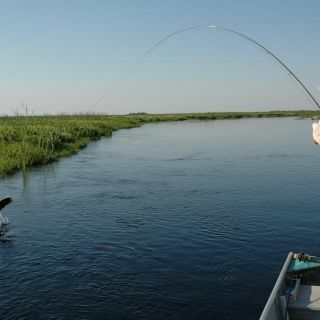 Nosotros podemos comprar los tickets aereos domesticos o de Omnibus libre de toda comision y sin ninguna preocupacion.